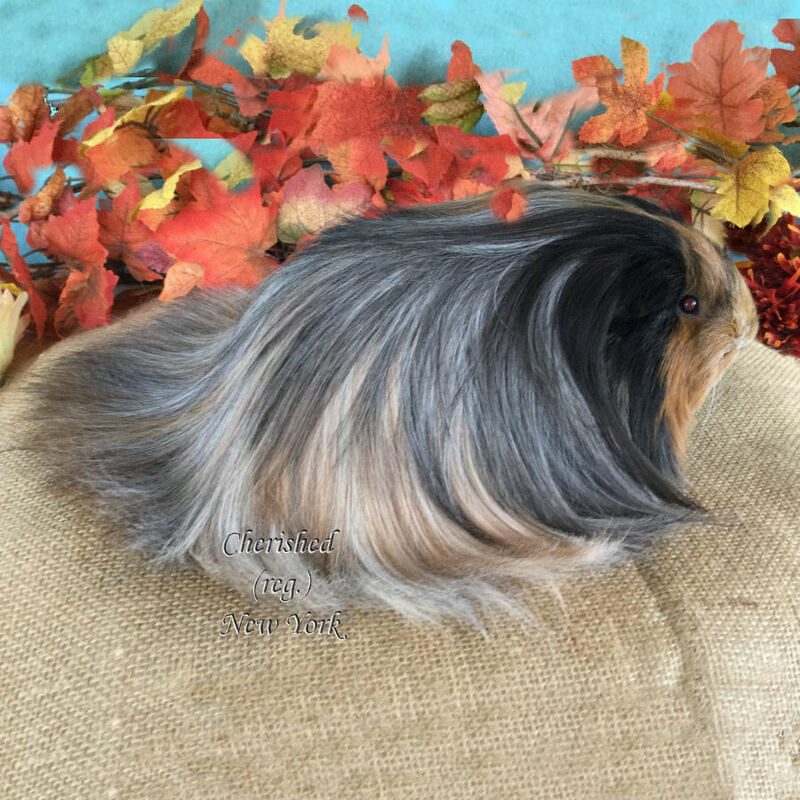 We decided to bring cavies into our Binghamton, New York home in August 2000 when Roger, my then four year old grandson, expressed a desire to own a hamster. I gave it a great deal of thought and decided that a cavy (Guinea Pig) would be a much better pet. He and I attended a rabbit and cavy show where he was allowed to choose his own new pet cavy. At the show he watched as the exhibitors showed their cavies and announced that he wanted to show his cavy. She was Roger's first cavy and beloved pet. Macarena is missed very much. Since that show we have met many wonderful people that have willingly shared their knowledge and the quality animals they have worked to produce. We have attended several shows and made our own decisions regarding the varieties that we would like to produce and show. It is my goal to produce happy, healthy animals that can be enjoyed as pets and exhibited with pride. Our cavies all have full pedigrees and nearly all are from ARBA registered parents. We are now producing and showing BIS, RIS, grand champion registered Peruvians and Peruvian Satins. My passion is the roan Peruvians. Courtney's was her Coronets and Roger still believes that Macarena was the most beautiful guinea pig of all.